The changing climate is bringing changes to traditional practices in Northern Quebec. This week, representatives from government met with elders, land users, and climate experts to discuss how best to adapt. From changing moose migration patterns to ice melting much sooner in the spring, the signs of a changing climate are all over the North. This week, stakeholders from the James Bay region of Quebec met to discuss those changes and to begin work on a regional action plan to help communities and hunters adapt. "The reliance of the Cree is deeply rooted in their traditional knowledge," said Isaac Voyageur, the director of the Cree Nation Government's department of environment and remedial works, which organized the two-day Regional Climate Change Forum. "Traditional knowledge is being put to the test at the moment, now that we have climate change," said Voyageur. The gathering in Eastmain, Que. on Nov. 6 and 7 was the first of its kind in the Cree Nation and brought together elders, traditional land users, and representatives from the Cree health board and Cree Trappers Association, as well as climate experts from the provincial and federal governments and academics. Some of the changes the group discussed were large drops in the number of geese flying to coastal communities and moose migrating for the first time all the way to Whapmagoostui, the most northern Cree community on Hudson Bay. 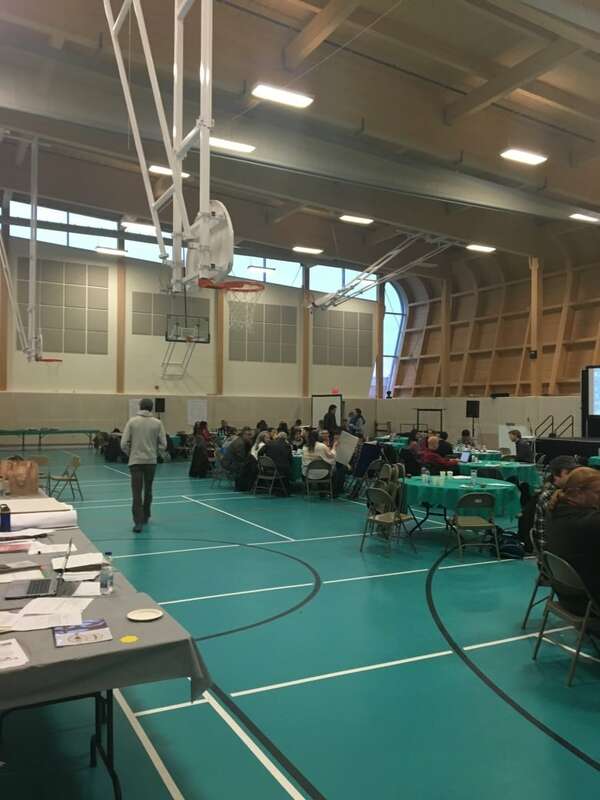 These changes raised important concerns about food security, according to Paul Linton, assistant director of Public Health for Chishaayiyuu [people over the age of 30] for the Cree Board of Health and Social Services of James Bay, who took part in the forum. "It's important to get together to discuss these changes," said Linton. "But the other [larger] part is how do we adapt to climate change and do it in a way that respects our culture?" "Fifteen thousand or 20 thousand Crees are not going to change global warming, but what we need to do is to identify it and to make changes to our systems in relation to hunting and trapping." One of the ideas discussed, according to Linton, was farming moose or caribou to create a source of local traditional meat as wild populations diminish or migrate elsewhere. Ice and water safety was also a big topic of discussion at the forum. Linton says Cree land users need to more aware of the risks posed by changes to the ice, which is disappearing sooner in the spring, and increasingly unpredictable weather and winds while out on the water in summer. "There needs to be more emphasis on ice safety and boat safety," said Linton. "Almost every year we have people going through the ice." 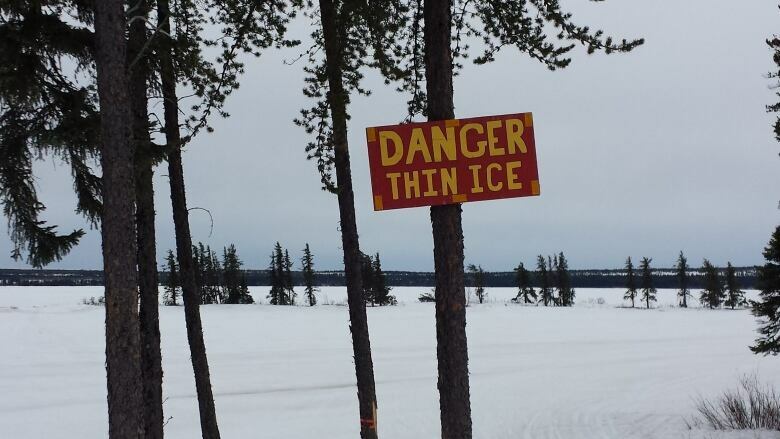 Voyageur says the Cree Nation Government hopes to put in place a "more robust" and regional ice monitoring system. Individual communities already collect the data, according to Voyageur, but he says it needs to be better used and made more easily available to hunters. "There is a willingness to work together," said Voyageur. "Everyone knows if you are a hunter and trapper, you need to have adequate ice strengthen to travel and transport with." Voyageur says this is only the beginning of efforts to come up with a regional climate change action plan for the Cree nation. The information gathered over the two day conference will be put together in a report that will be sent to local hunters and trappers.